According to the Agency for Healthcare Research and Quality (AHRQ), EMR implementation among pediatric practices lags behind other specialties, with 31% of pediatricians using a basic pediatric EMR and only 14% using a fully functional pediatric EMR solution. This is despite the American Academy of Pediatrics suggestion that EHRs may increase patient safety and standards of care. The problem seems to be that too many EMRs lack the specialty-specific features that make implementation worthwhile for small and medium-sized pediatrics practices. All medical practices need core EMR functionality, like documentation options, custom workflows, e-prescribe, and patient portals, but there are certain pediatrics features that make the difference between an EMR that slows you down and disrupts your practice and one that boosts your productivity, improves patient care, and delivers positive ROI within a reasonable amount of time. If you’re thinking of implementing new software for pediatric clinic or replacing a less-than-functional existing one, here are the seven features you should look for before you take the plunge. A pediatric EMR should efficiently record vaccine data; some even include barcode scanning to automatically populate the immunization record. It should also allow easy manual entry of vaccinations given at other facilities. 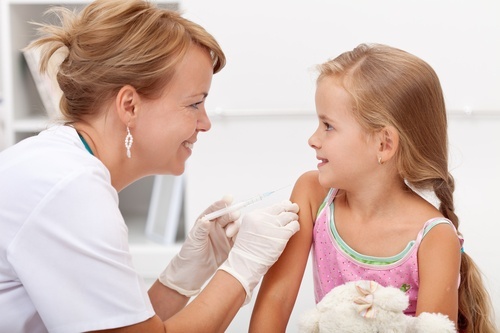 Once vaccinations have been given, the EMR should make it easy to share immunization records across different formats as necessary to comply with proof of immunization requests for schools and government agencies in the interest of public health, as well any other institutions that require proof of vaccines. The ability to easily generate and print immunizations records is a helpful bonus. Beyond that, a good pediatrics EHR includes immunization forecasting and clinical decision support to help reduce or eliminate both errors of omission and commission. Error of omission occur when clinicians miss opportunities to provide appropriate vaccines and errors of commission occur when the incorrect vaccines are given. It would also help identify situations in which delaying certain immunizations might achieve a better immune response. Other useful immunization functionality includes immunization reconciliation for patients who were vaccinated in another country. Well child visits account for almost half of all pediatric visits and your EMR should simplify the documentation and workflow for these encounters, and provide a longitudinal record that tracks growth and change over time. In addition, well-child visit templates should be customized to populate developmental milestones and support age-based transitions, including fetal to newborn, newborn to childhood, childhood to adolescence, and adolescence to adulthood, with relevant functionality such as growth and development monitoring, anticipatory guidance, and risk factor screening. 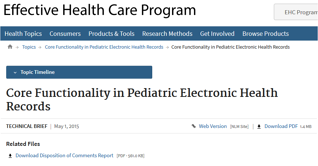 Finally, the EMR should be sensitive to pediatric norms that vary by age, such as heart rate, and trigger appropriate alerts. A major difference between the pediatric EMR and an adult health record is the need to record, display, and compare growth measurement data on a small enough scale to accurately represent changes and fluctuations in a pediatric patient. A full-featured pediatric EMR should also be able to perform calculations such as growth velocity and BMI and present the measurements and calculations in a graphic format that can easily be printed and shared with patients. One study of growth chart functionality showed that when one multispecialty pediatrics practice implemented a EMR with a growth chart that superimposed parental height points on a growth curve and plotted height against skeletal age, the number of times height, weight, and head circumference were recorded jumped from fewer than 10 per day to nearly 50 times per day, suggesting these flexible growth chart options incentivize better documentation. Families today are dynamic structures that can change many times over a child's transition from infant to adult. A well-designed pediatrics Software will identify and automatically populate shared family history, social history, and even billing data across related family structures. This is not just an added convenience, but an essential functionality when it comes to managing complex issues of privacy and confidentiality across blended families and extended families. All 50 states have adolescent privacy laws that permit young adults to get certain care without parental consent or notification. Pediatric EMR should have privacy settings that safeguard protected health information shared only between the adolescent and the provider, while still permitting access to appropriate information by parents, step parents, and guardians. Ideally, the EMR should allow clinicians to designate individual items with different privacy settings. A single pediatric encounter, for example, may result in documenting information with different levels of sensitivity and privacy requirements. Conversely, some parents want to keep certain information in the child's record confidential from the child him- or herself, such as a family history of a particular genetic disease or psychiatric disorder. Weight-based dosing complicates prescribing medication for children. Plus, the range variability in pediatric populations is much greater than in adults; pediatricians see premature infants weighing just a few pounds all the way up to obese adolescents who can weigh 200 pounds or more. Your pediatric EMR should provide medication decision support including dose calculations and rounding, range checks, and age adjustments or corrections. After well child visits, management of chronic diseases and conditions such as asthma and ADD comprise the bulk of pediatric encounters. Your EMR should allow you to customize templates and workflows to streamline documentation, monitoring, and management of clinical and treatment data. It's never an easy decision to make major changes to your pediatric workflow and electronic medical records system, but if you choose the right pediatrics EHR Software, the advantages outweigh any potential disruption. 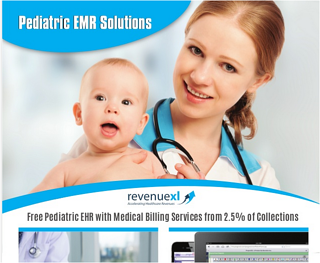 RevenueXL's full-featured pediatric EMR gives you all the flexibility and functionality you need to maximize productivity and do more with less in a small or medium-sized practice. Plus, our affordable cloud-based options eliminate steep upfront costs and the need for expensive IT support, putting a robust pediatric EMR solution in reach for any size practice. 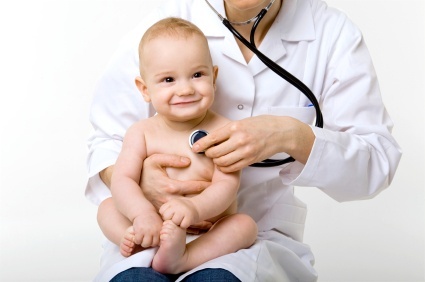 Why not schedule a free demo of our Pediatrics EMR today? If you'd like more information about RevenueXL specialty EMRs or medical billing solutions, give us a call to talk to one of our health information professionals. Why Cloud based Pediatric EHR is better for your practice?